Castello di Stefanago is the result of generations of grapes: The Baruffaldis have strived to maintain respect for the terroir as well as the earth in their winemaking. 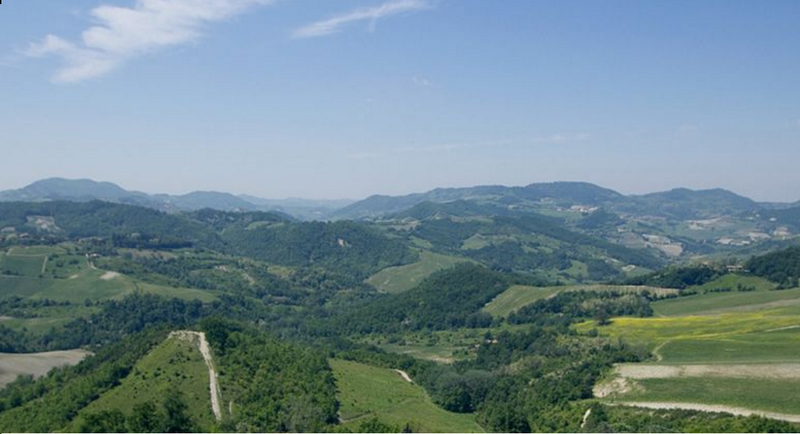 The winery is located in Lombardy in the Oltrepo Pavese hills at between 320 and 470 meters above sea level. The cellars are in the castle which still remains from the fourteenth century in the center of the property, around which there are about eighteen hectares of vines and 135 hectares of meadows, forests, orchards, and arable land. Antonio and Giacomo Baruffaldi have long followed organic farming, striving to achieve healthy, natural grapes, which are harvested at the appropriate level of maturity and reflect the terroir on which they are grown. In the cellar, the Baruffaldis keep in mind the natural inclinations of each must, of the natural evolution of each cuvé, using barrels of various woods and sizes. The vineyard currently produces Riesling Renano, Pinot Grigio, Müller-Thurgau, Chardonnay, Croatina (Bonarda), Barbera, Cabernet Sauvignon, Merlo, Uva Rara, and Pinot Nero. These grapes grow in clay soil and are selected 1 month before harvest in mid-October. The fermentation process takes place over 20 days in temperature controlled steel tanks, then aged for five months in steel tanks. Grown in the vineyard called “Vigna Campo Piano,” these grapes are hand-harvested from clay and limestone soils and lightly pressed before being moved to temperature-controlled stainless steel tanks to ferment with wild yeasts. The wine is aged sur lies for three months in stainless steel. The Baruffaldis crush the grapes at night and leave the must in contact with the skins to add color and intensity to this wine. From 35 year old vines planted on 1.5 hectares of clay soil, the vines are trained in the Guyot system with some green harvesting one month before the manual harvest on the first day of October. The grapes spend approximately 4-5 days on skins and left to spontaneous fermentation in steel tanks for 15 days; partial malolactic (50%) occurs and then the wine is aged in 2 year old large oak barrels, measuring 15 hectoliters, for 2 years followed by light filtration with farina fossile.